I've always loved UCC's coffee. In my pre-specialty coffee days, while Starbucks was a staple whenever I'm out, with the ever popular second wave espresso and frappuccino drinks, at home, my cupboard holds nothing but bottles of UCC instant coffee. 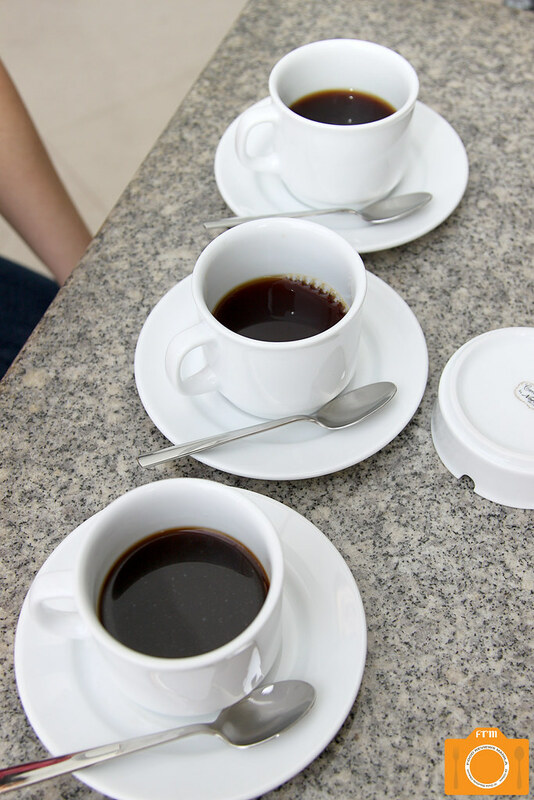 With the emergence of third wave coffee shops locally, established and popular cafés are bound to follow suit, and the fact that my favorite brand is doing so, gets me excited to spend an afternoon of coffee appreciation with foodie friends. 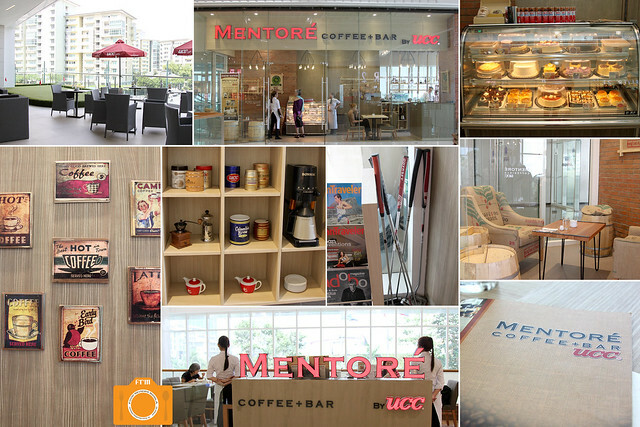 Mentoré, Italian for mentor, basically means one who teaches, and that is what UCC aims in their new concept located at SM Aura. The coffee + bar is at the far end of the second level, occupying a big unit space on one side as well as an open area right smack in the middle, overlooking the ground floor. With numerous picture windows as a backdrop, this section is pretty much inviting. Inside the main café, a cozy corner on the right is also a welcoming site with lounge chairs covered in decorative burlap and barrels on the side for that rustic look. The left side leads to an al fresco area complete with a mini golf putting green. 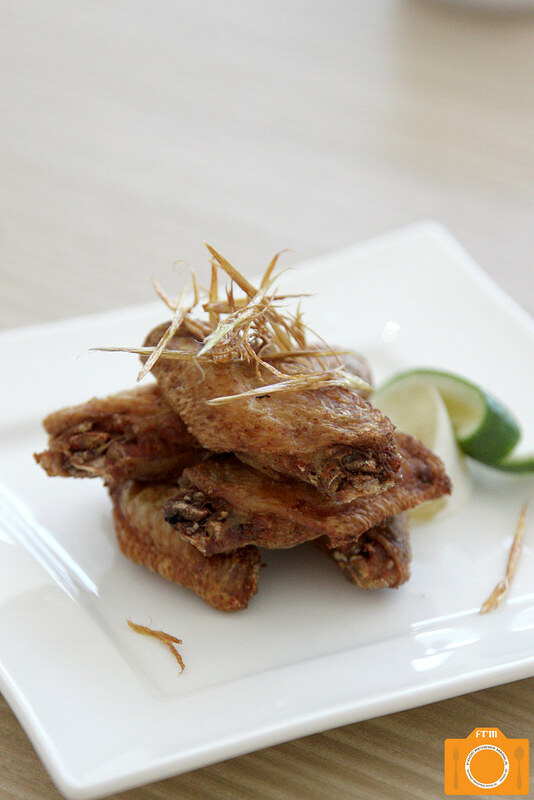 Do try their crisp Fried Chicken Wings, and eat it heartily using your fingers. 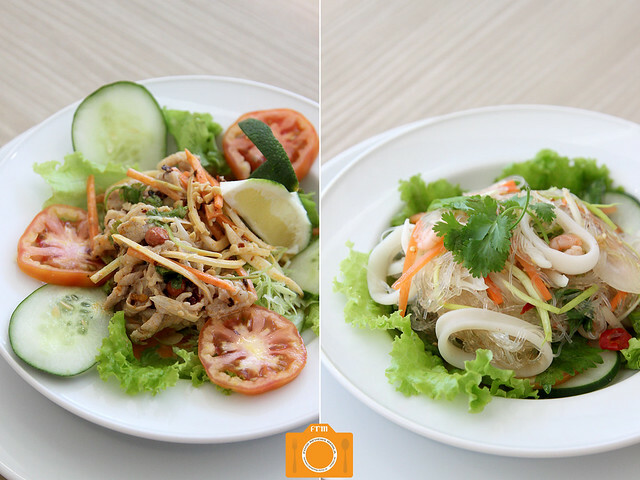 They also have salads with a kick to jump-start that appetite. If you have a high tolerance for heat then you might like the Thai Yam Unsen. I, for one, don't and when it burned my tongue, I opted for the Spicy Shabu Shabu instead. 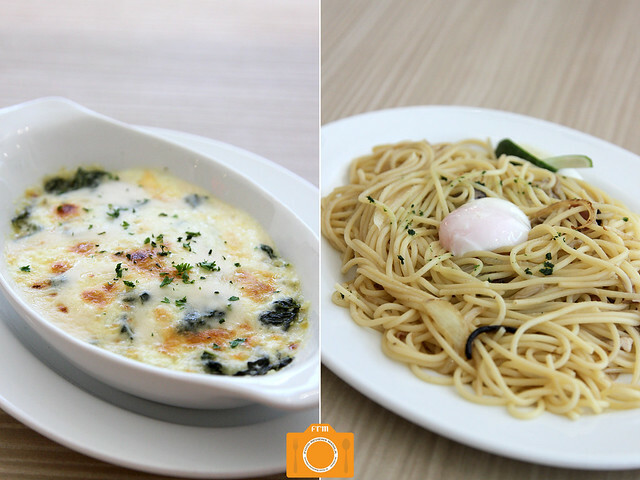 Between these two shrimp dishes, my vote goes to the Shrimp Doria. 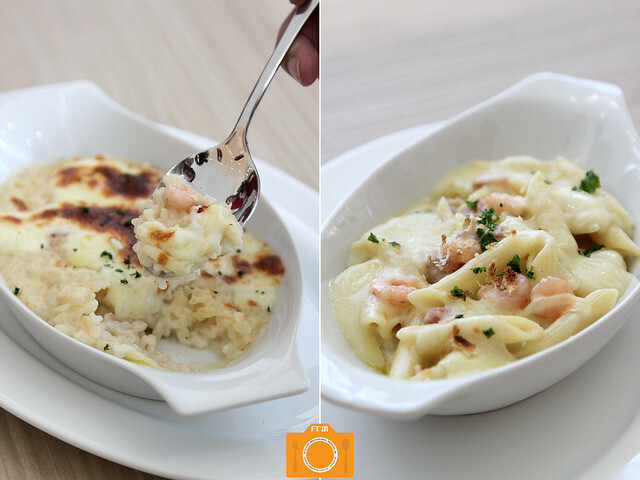 It may be plain-looking compared to the Shrimp Gratin, but it packs more flavor in each bite. 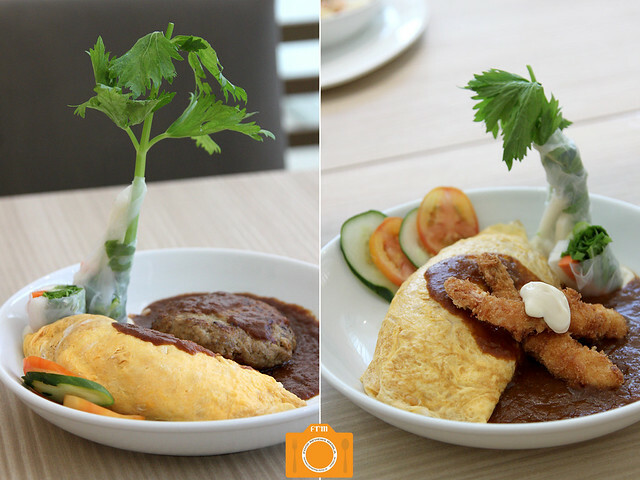 Different plates of Kobe Yoshoku Omurice were served, each looking like a tropical island. Yoshoku is actually the name given to dishes influenced by Western style, but developed independently in Japan. 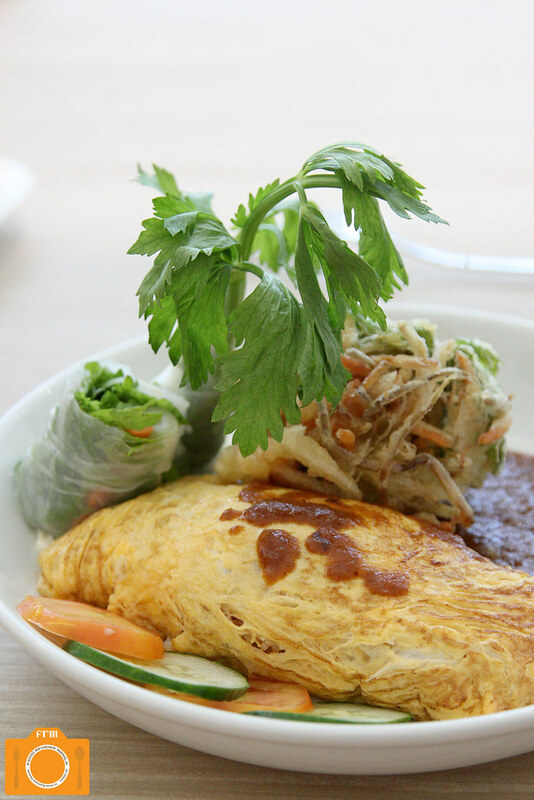 Omurice, on the other hand, is omelette stuffed with buttered tomato rice. 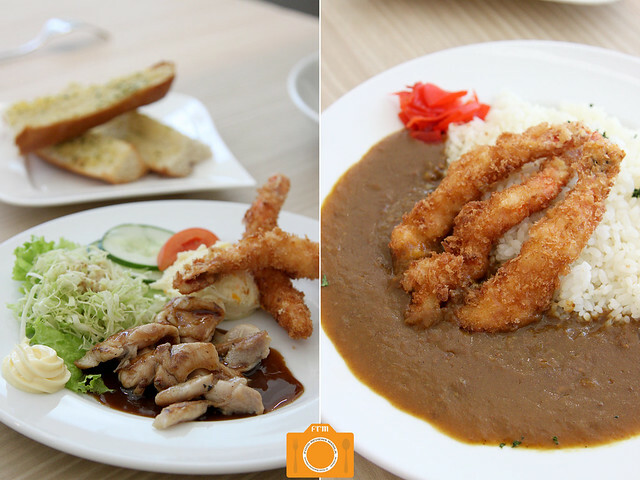 You have a choice of rich tomato sauce or their home-made specialty Hayashi sauce. The omurice itself was quite heavy; swipe it across the sauce for more flavor. I especially liked the Vegetable Kakiage, a bit on the oily side, but still good. 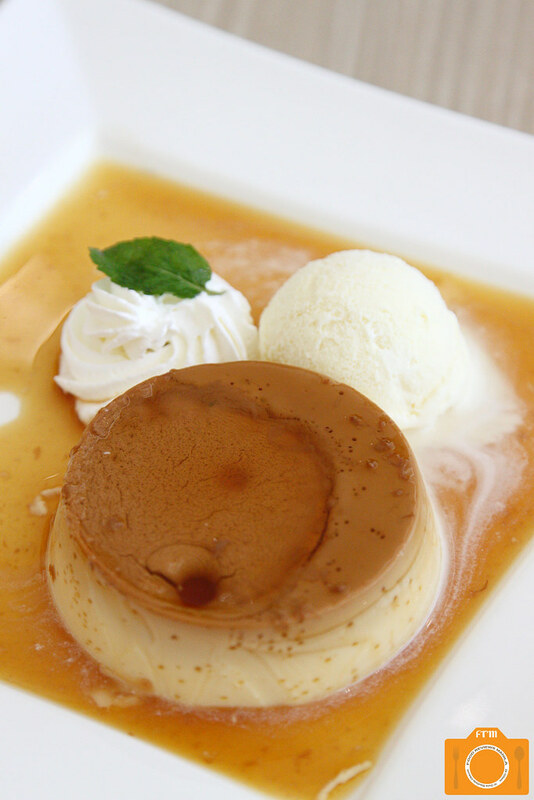 Looks like the common caramel custard flan, but the consistency is creamier than most. Nothing ordinary about this Kobe Baked Pudding when you take a bite. Eat it simultaneously with the vanilla ice cream it comes with for a nice, cool finish. 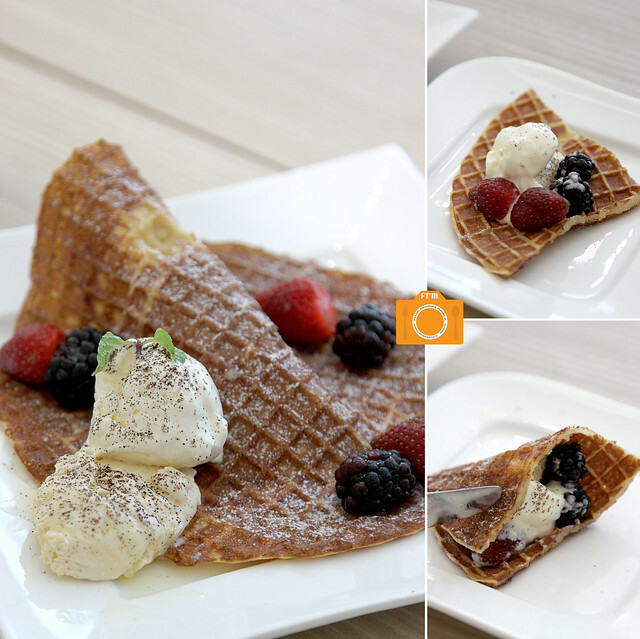 A hybrid of waffle and crepes, the Clair comes with different fruit toppings. The Clair Tiramisu has strawberries, blackberries and tiramisu ice cream. Cut the clair into four parts, and equally distribute the berries and ice cream into each section. Fold the clair just like you would a crepe, and indulge. Soo good! This goes really well with their coffee. 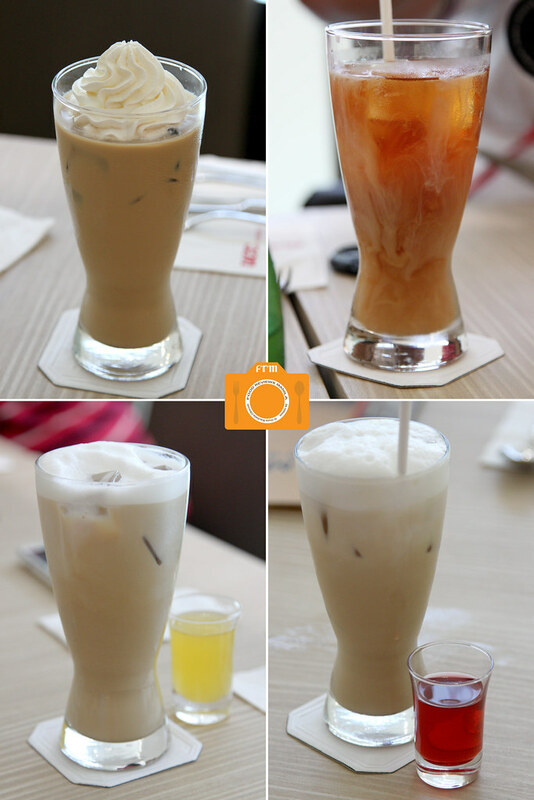 UCC also offers arranged espresso drinks depending on your preference, which you can get either hot or iced. 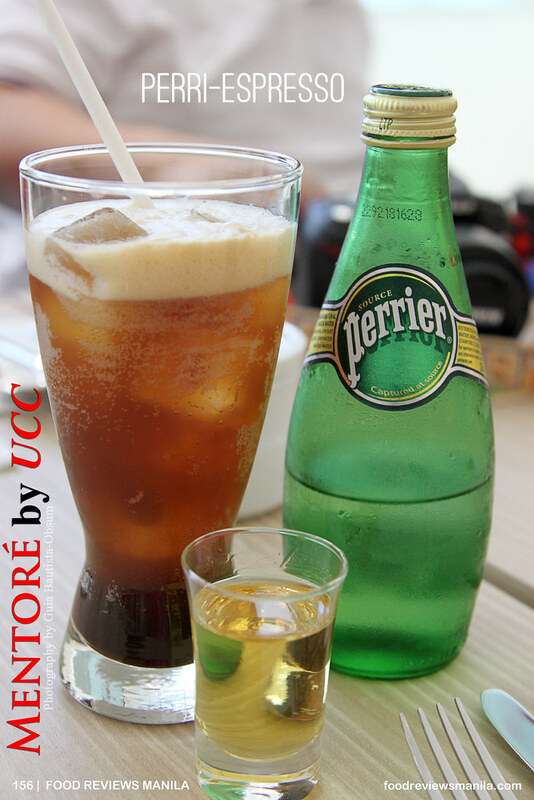 One that caught my eye was the Perri-espresso -- a unique blend of UCC coffee, sparkling water and honey syrup. Pour in the espresso, chase it with some Perrier, and finish it off with a tad of honey. 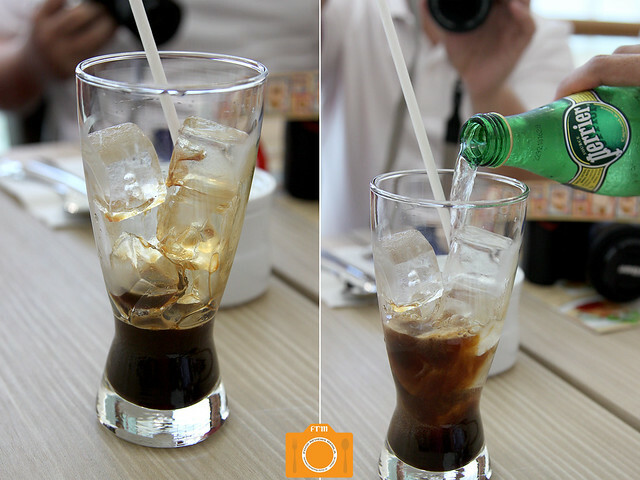 This coffee soda gives you a refreshing bubbly drink tinged with that familiar robust coffee taste. A creative---and captivating---way of consuming cold coffee. After the meal came the mentoring. Mentoré uses five different methods for brewing coffee, each one yielding a stronger brew than the last: Syphon which produces the mildest coffee flavor; Pour Over, also called drip method, wherein a cone-shaped paper filter is used to extract coffee; Water Drip wherein precisely measured cold water drips over ground coffee for over 8 hours producing a silky brew without the usual acidity; French Press which uses a fine mesh filter plunger unit to separate ground coffee from the boiling water; and Espresso (not in photo) wherein rich, robust coffee is extracted from an espresso machine. 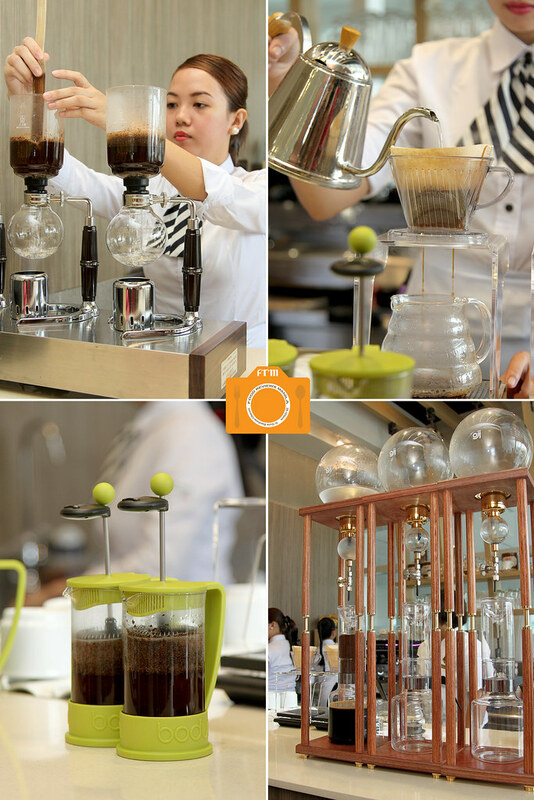 They made us try three brewing methods---Syphon, Pour Over, and French Press---using the same Mentoré House Blend to better differentiate each taste. I prefer the Pour Over, which has that familiar coffee taste I love: not too acidic, not too full-bodied, just perfectly in between. Truly one of the best ways to spend an afternoon is with a good cup of coffee or two, savory dishes and sweet too, and don't forget a beautiful view. Hello everyone! I have this ON HAND and still available.